Bangalore Doom-Death combo formed as MISANTHROPE toward the close of 1991. The formation, counting vocalist Deepak Prasad, guitarist Jimmy Palkhivala and Daniel Marc David on drums, cut an opening demo in 1993. Subsequently Prasad relinquished his role due to health reasons and Palkhivala assumed lead vocal duties until Vikram Bhat, an ex-member of Black Metal band OMINUS LEGIO, took control. 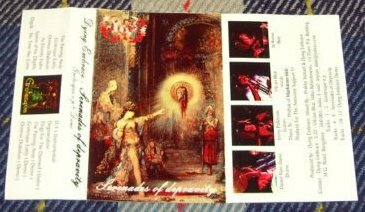 Newly billed as DYING EMBRACE, in late 1997 the band, having inducted Jai Sarge Kumar on bass guitar, entered the studio to record a six song mini album entitled ‘Serenades Of Depravity’ for February 1998 issue. 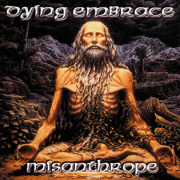 DYING EMBRACE followed up with the ‘Grotesque’ EP in 2000. The band secured international interest and signed to the French concern Legion Of Death Records. First product would be a gatefold sleeve double 7″ single hosting two new tracks alongside a brace of songs from the ‘Grotesque’ EP. The US label Bestial Onslaught also weighed in, re-issuing ‘Serenades Of Depravity’ for the North American market in 2003.